The timing of The Farm development did not bode well for its immediate success in 1892, the United States slid into one of its worst economic depressions in history. In November 1892, George W. Morris, President of the Charlottesville Land Company, reported to the company’s stockholders, “Booms have collapsed all over the State, and much money has been lost. A period of reaction has set in. It is not the intention of this report to hold out to any stockholder the hope of large and sudden profits from his stock. It will take time to realize on our assets…. But our properties practically belt the City of Charlottesville, and Charlottesville has never been so prosperous as she is today, nor has she ever grown so fast as she has done during the past twelve months. Our properties must become more and more valuable, and must eventually, even the most remote pieces, be in demand.” Despite these encouraging words, the Charlottesville Land Company sold very few individual lots at The Farm to suburban homebuilders; instead, over the next few years, the company sold off entire blocks of its development-many of them to Henry Clay Marchant, the wealthy proprietor of the Charlottesville Woolen Mills which operated on adjacent property along the Rivanna. Marchant maintained his large tract of The Farm in its historical agricultural use, as sod pastureland. 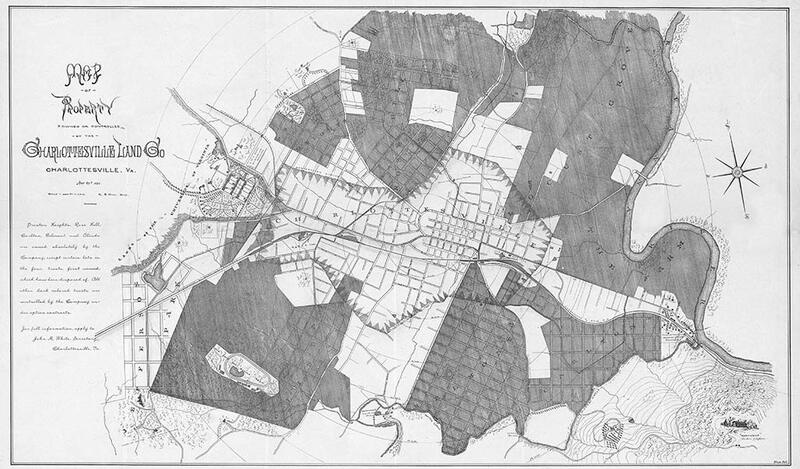 The Charlottesville Land Company’s earlier plans–for riverside villas and a substantial suburban neighborhood–fell victim to the vagaries of the national economic cycle. As the Charlottesville Land Company sold off The Farm in large blocks, one local developer purchased a nearly 28-acre tract of The Farm, envisioning a more depression-proof market for lots. This tract included a large portion of the “reservation” contained in 1892 plat of The Farm. Here in 1893, J.W Marshall and his business partners established the Riverview Cemetery, where lots would accommodate the dead rather than the living. 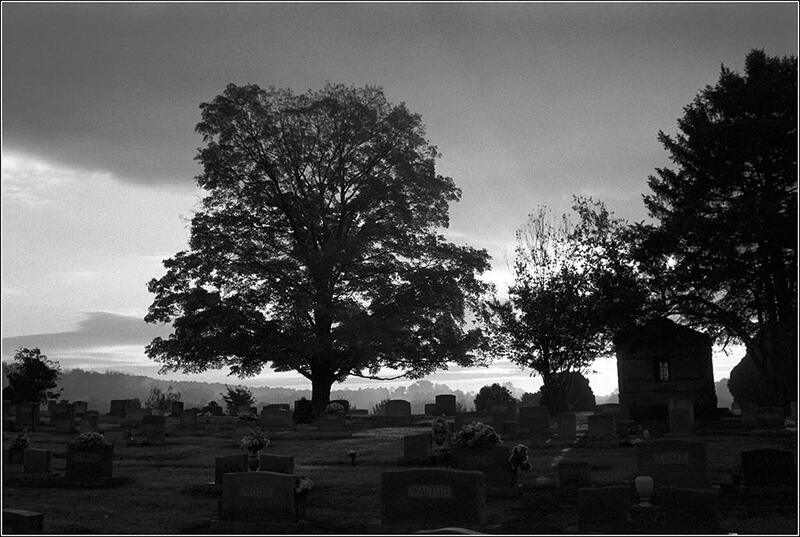 The landscaped cemetery occupied the hilltop overlooking the Rivanna with a fairly regular pattern of blocks and lots. The cemetery tract also included land in the floodplain, which was laid out with a meandering walk where visitors could move down the hill from the graves to the banks of the river. 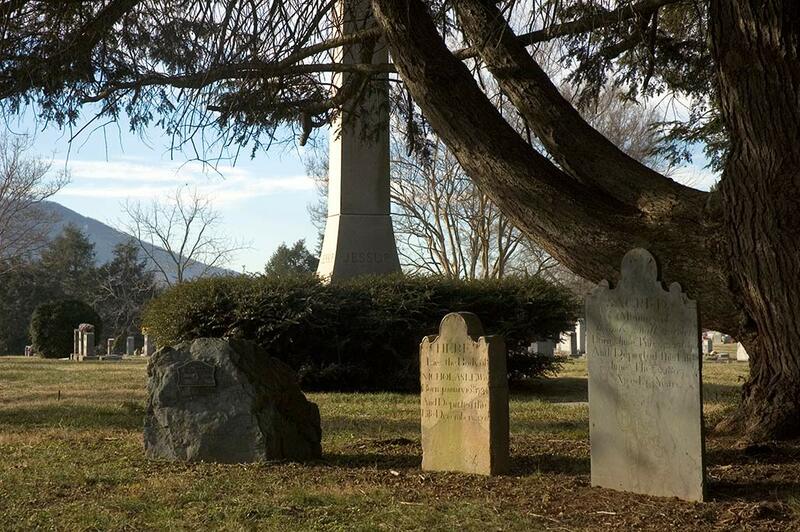 As in the case of the Charlottesville Land Company plat for The Farm, the Riverview Cemetery plan clearly acknowledged the beauty and aesthetic character of the Rivanna. Both envisioned taking land that had been in agricultural production for over a century and a half and devoting it to new uses, ones that would cultivate, not crops, but the aesthetic sensibilities Charlottesville residents and visitors for area’s natural landscape.